Eden is the embodiment of paradise, unique embroidered floral lace stretching across her semi-illusion bodice and plunging V-neckline. 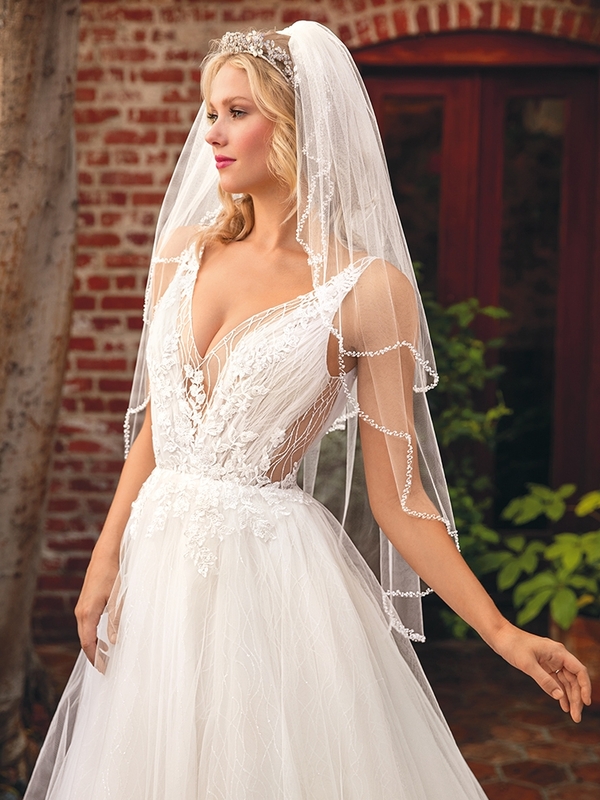 This magical ballgown wedding dress from Beloved by Casablanca Bridal features sparkle tulle that flows down her skirt in an enchanted, twisting pattern. 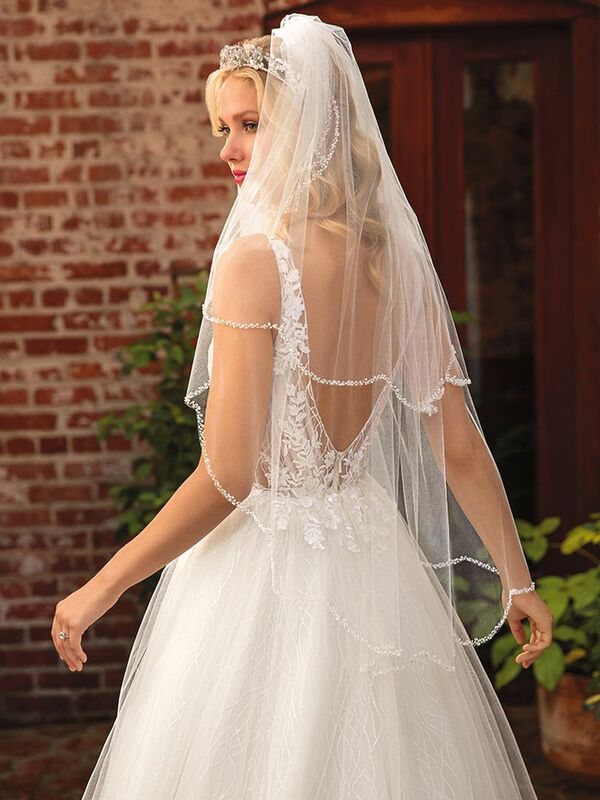 Perfect for the mythical bohemian bride, this otherworldly gown includes the option for a matching veil, tying the look together seamlessly.